London independent wine bar, shop and restaurant chain Vinoteca is using its 10-year anniversary to reveal a new “periodical” wine list and logo. The wine list will now be taking the form of a “quarterly periodical” designed for customers to take home with them. The desire is that customers may use it to purchase bottles through Vinoteca’s online store, the company said. “We made a mini newspaper – something simple and immediate that you could put in your bag and take home at the end of the night. 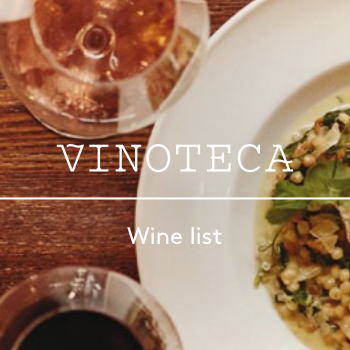 Like Vinoteca it’s unpretentious and engaging,” founder Elena Ares said. The new list can be viewed here. Vinoteca’s first outlet in Farringdon was opened by Charlie Young, Brett Woonton and Elena Ares in 2005, and has since been joined by branches in Marylebone, Soho, Chiswick and King’s Cross.